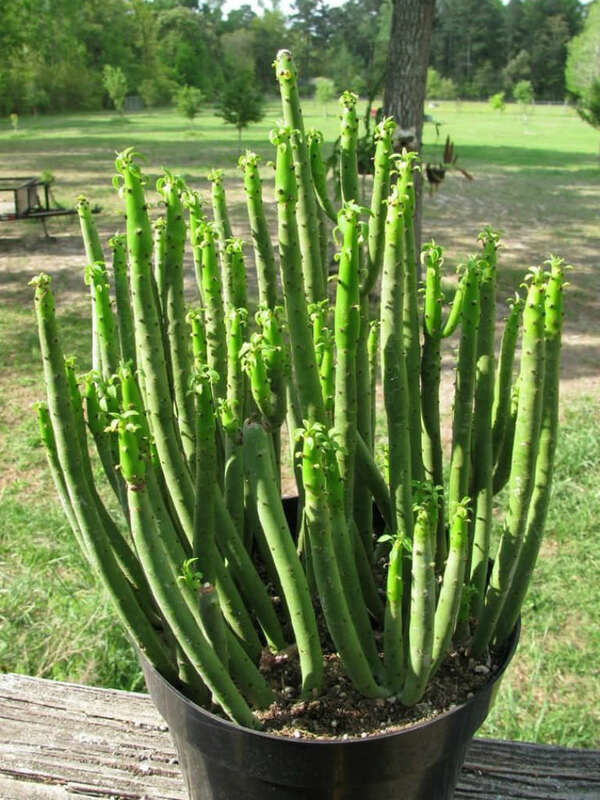 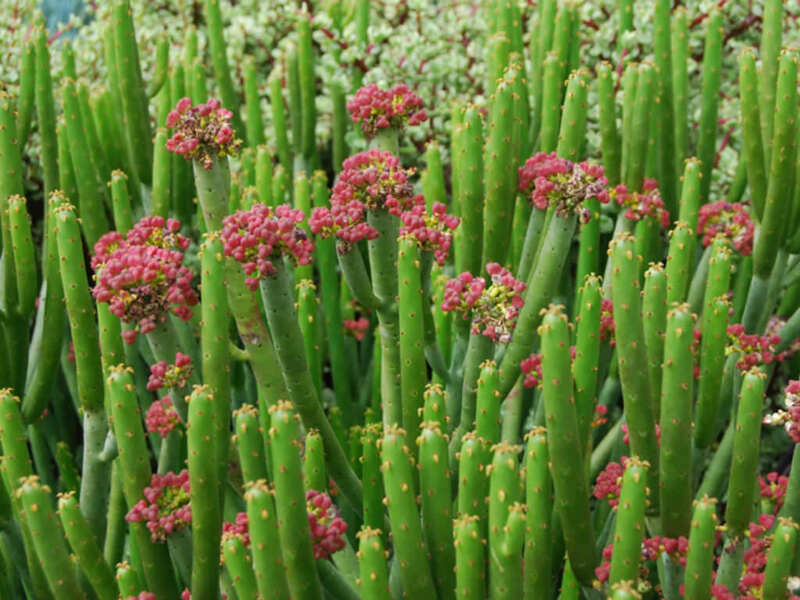 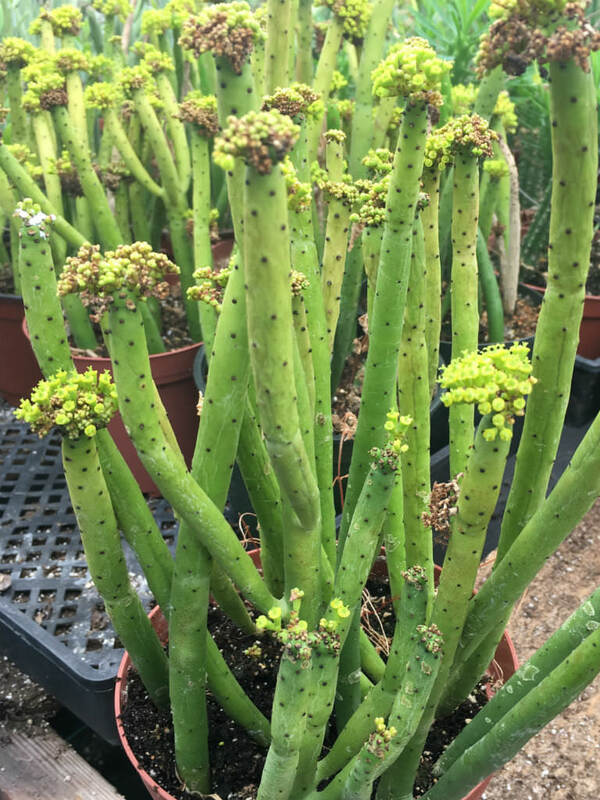 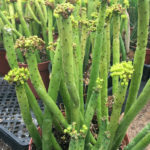 Euphorbia alluaudii is an interesting spineless succulent shrub up to 12 feet (3.6 m) tall. 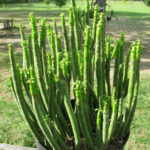 It has narrow, pale green, cylindrical and jointed stems that rise erectly and then arch outwards to form a mass as wide as tall. 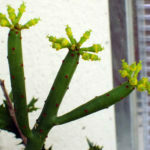 The stems are tipped in summer with many, up to 0.5 inch (1.3 cm) long, green leaves and are dotted with brown marks where the leaves were previously attached. 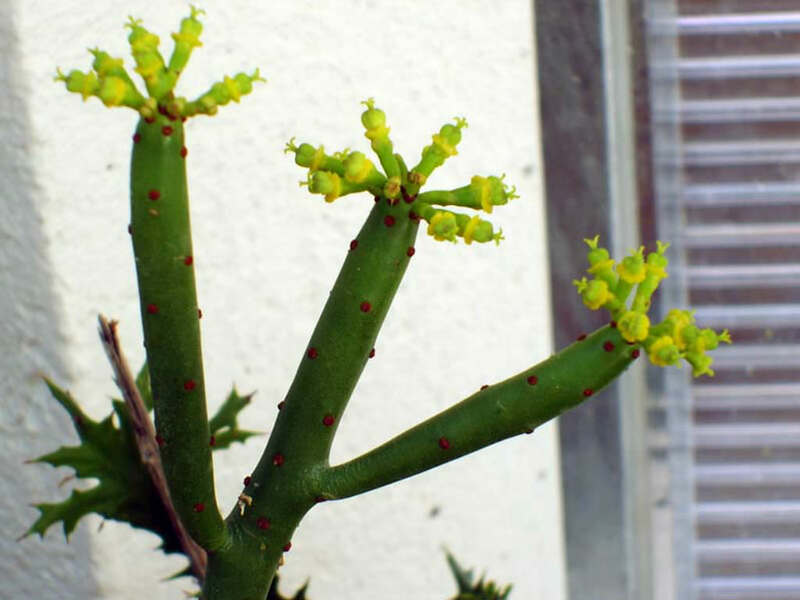 In spring and summer at branch tips also appear the very small, yellow-green flower structures (cyathia) that hold the even smaller flowers and the developing fruit is red and somewhat heart-shaped.